The passing of Barbados Prime Minister David Thompson is a loss for the government and people of Barbados, but his passing is being taken particularly hard by the nation's entrepreneurs and small businessmen and women. "A great Caribbean leader has gone," lamented Barbadian businessman Dr. Basil Springer who heads the Caribbean Business Enterprise Trust (CBET) and Bimventures family of local entrepreneurs. "Prime Minister David Thompson was a true West Indian visionary who embraced change and fully understood that Barbados' social and economic success was dependent on a policy which supported small business development and healthy small enterprises," he said. Dr. Springer, who designed the CBET Shepherding Model™ with the support of the Caribbean Development Bank, and who leads a project which currently guides 10 local businesses, said this was possible because Prime Minister Thompson was key to CBET joining forces with the Barbados Government and the private sector to provide quick response revolving seed and venture capital to businesses with the potential for phenomenal growth. Some 50 businesses are now waiting in the pipeline due to the success of the programme. "Our late Prime Minister recognized the value of the mentor-protégé relationship as a necessary condition for receiving funding and for business success," said Dr. Springer, who added the Bimventures executive and family members were committed to honoring the legacy of the 48 year-old visionary statesman. "While gone too soon, he has left an indelible mark on the entrepreneurial terrain in Barbados - and we are no doubt better for it. Blessings and strength to his wife and family. May he rest in peace and may his successors triumphantly emulate him," said Dr. Springer. 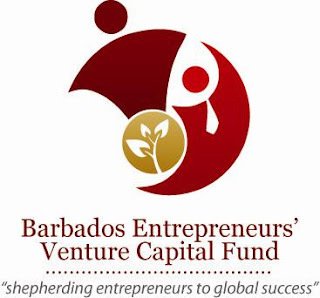 Barbados Business Enterprise Corp. (BBEC) is a public/private sector partnership with the Caribbean Business Enterprise Trust (CBET) Inc. BBEC manages the Barbados Revolving Seed Capital Fund and the Barbados Entrepreneurs' Venture Capital Fund. BBEC is a virtual organisation that focuses on promoting economic development in Barbados. The trustees of BBEC are respected Barbadian business and development experts, Sir Neville Nicholls (Chairman), Sir Stephen Emtage, Peter Boos and Hazel Highland.